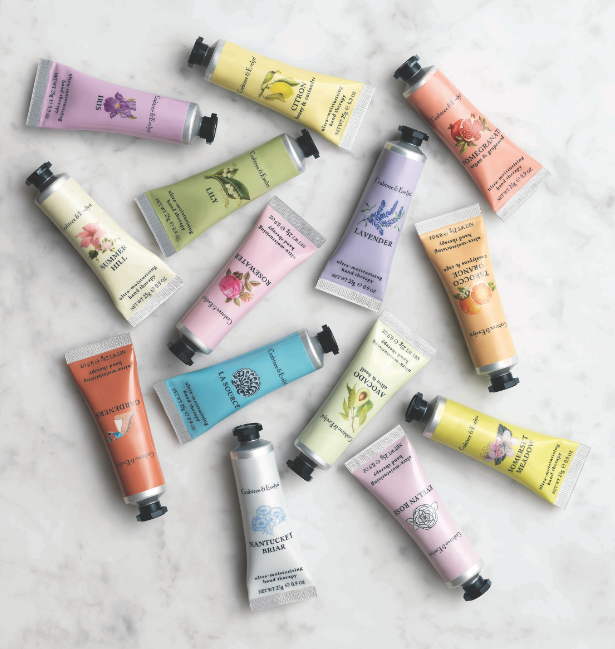 Crabtree & Evelyn Ultra-Moisturising Hand Therapy is one of the best-selling products worldwide and is an intensive conditioning cream that is formulated with Shea Butter and Macadamia nut oil to moisturize and soften hands, along with Myrrh to help condition cuticles and nails. It melts instantly into skin without leaving greasy residue and will leave hands feeling softer with each use. Now updated with a new look and packaging with 16 fragrances to suit every mood and style. 25g(S$13), 100g(S$33) & 250g(S$65).